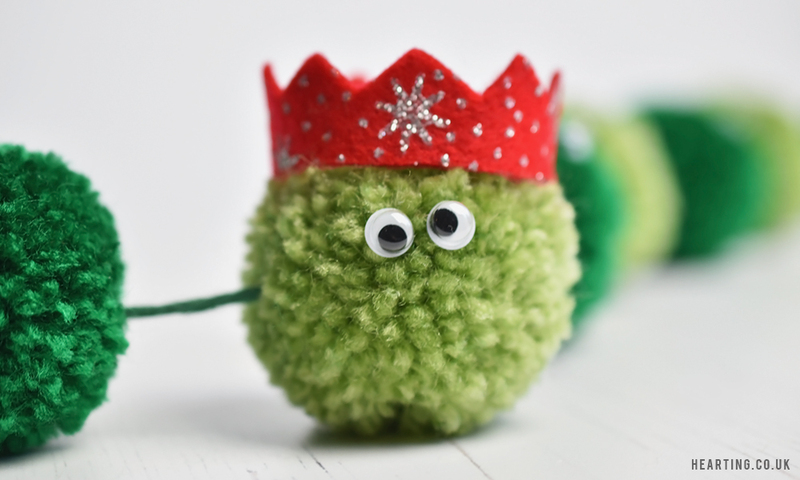 This weekend I’ve made over 60 pom poms but it was totally worth it because it meant I got to make lots of jolly festive Christmas pom pom creations! 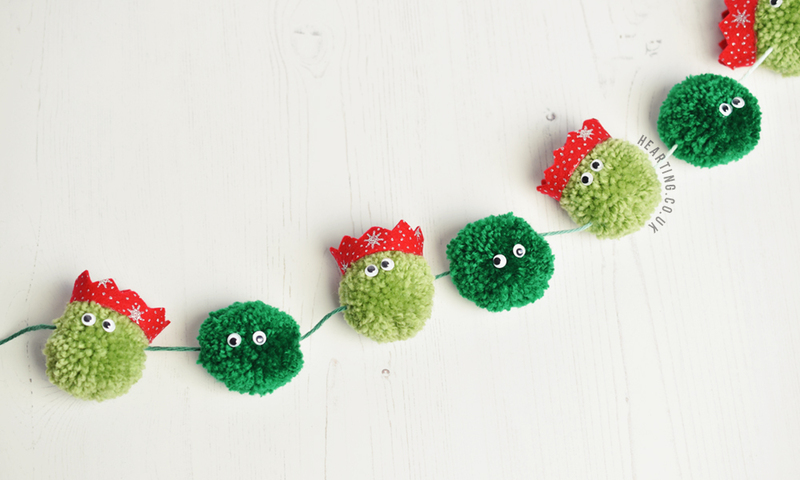 I don’t think I’ll ever get bored of making pom poms. 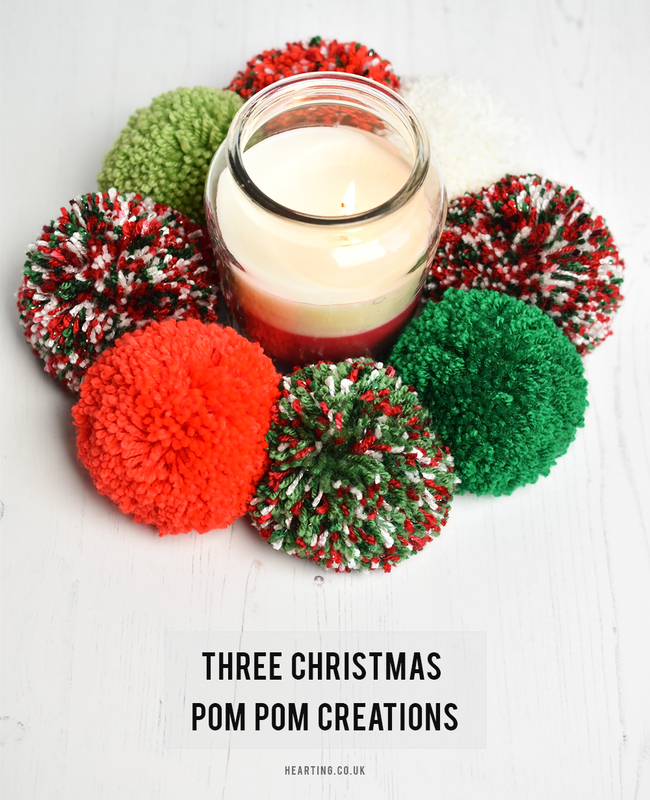 The first thing I crafted was a pom pom Christmas Wreath Centrepiece. I made an Autumnal centrepiece at the end of September so I fancied updating it for the festive season. 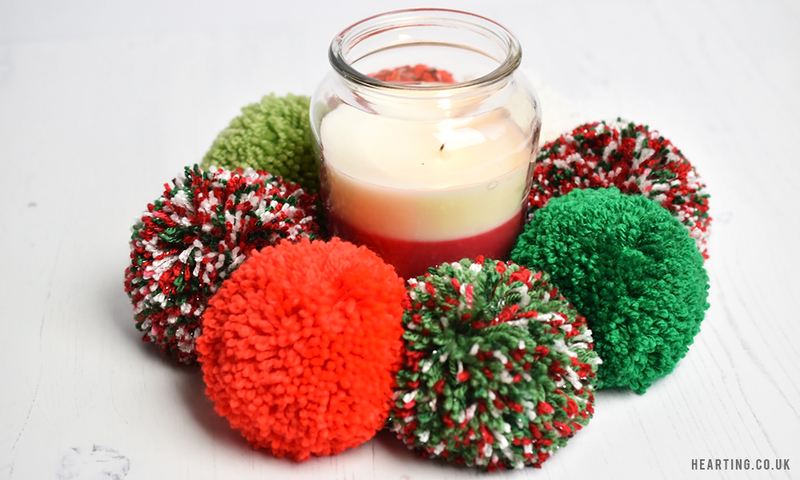 I used a variety of red, green, white and glittery wool and I love how it turned out. Pinterest inspired me to make a Festive Brussel Sprout Garland so I can’t take any credit for the idea but I ADORE how these have turned out. I feel like most people either love or hate brussel sprouts but how can you not love these little pom pom brussels? They’re just so cute! 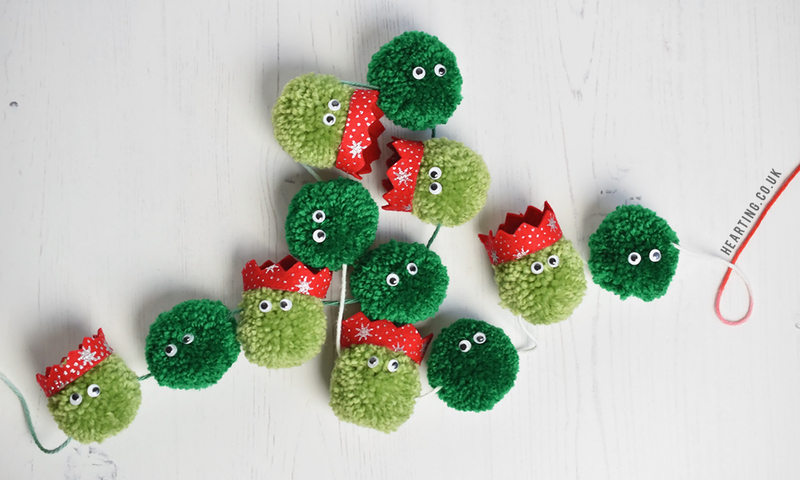 By the time Christmas rolls around I will have totally given each of these 12 little sprouts their own names. 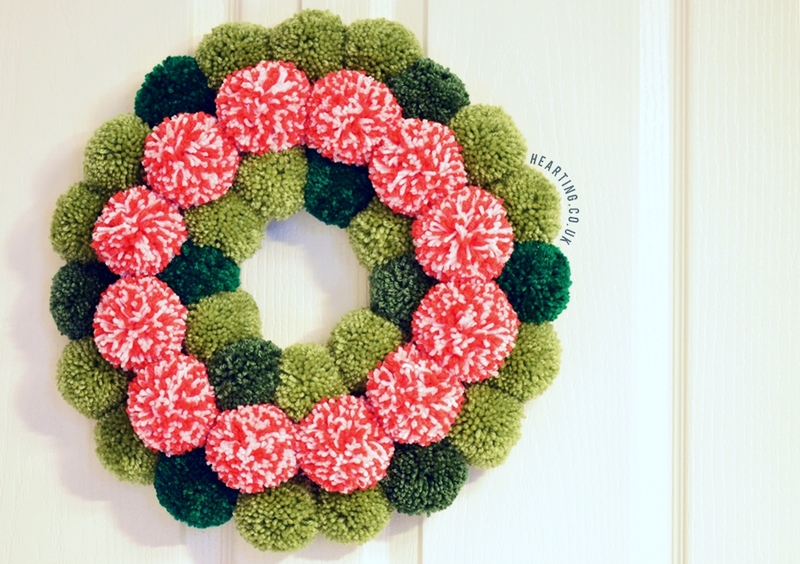 Back in 2014 I made a Christmas pom pom wreath but this is epic in comparison. 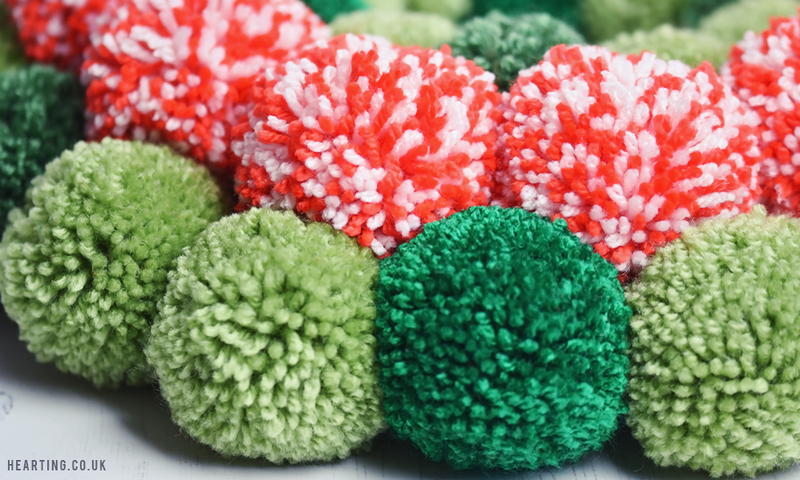 You might not be able to tell from the photograph but it’s huge and required a grand total of 41 medium pom poms – now that’s A LOT of pom poms! It’s so Christmassy, don’t you think? 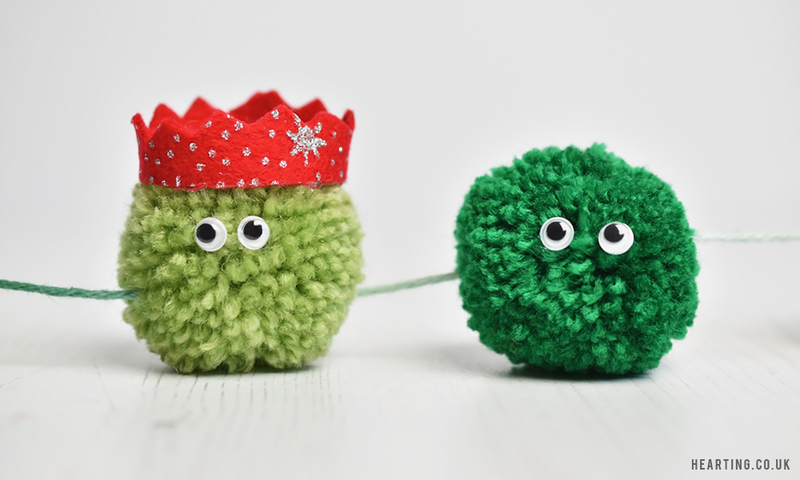 I’m feeling very festive after making all these Christmas pom pom creations!